I looked at the rocky mountain pass in front of me and just wanted to give up. My back ached. The straps from my 65-liter backpack dug into my hip bones, rubbing perfect circles of red. My clothes were dirty. The balls of my feet screamed with every step. 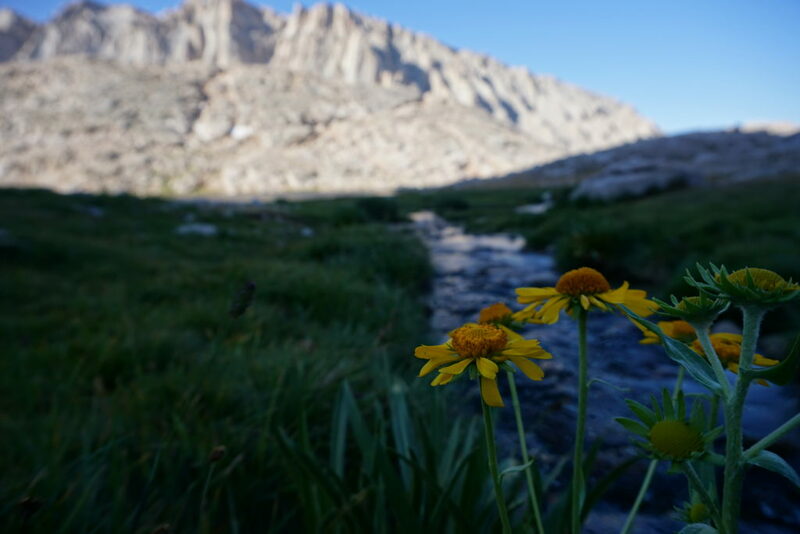 And in front of me was an unforgiving landscape of rocks and dirt, boulders the size of houses, and dry air that gave me nosebleeds as I huffed and puffed to summit passes above 10,000 feet. Pass, after pass, after pass. Why am I here? I thought miserably as I adjusted my sunhat. Even the trees don?t want to be here. I?m in a place where no human should ever be. To tell the truth, I was tired of being above the tree-line. I wanted the heady smell of pine and sun, to see the sunlight streak bright green through the filmy fronds of ferns. I wanted to see life, food and water, the things human beings need to survive on Earth. 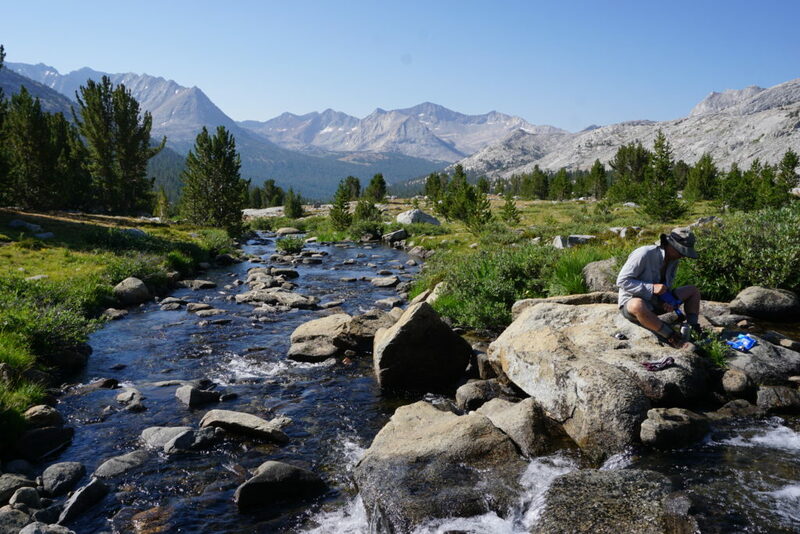 We?d see those things in the deep valleys and gorges of the John Muir Trail in California?s Sierra Nevada, but the mountain passes were another story. Each one looked like yet another scene from Star Trek, where members of the crew would beam down to an abysmal looking planet in the middle of some star system none of us can pronounce. I expected the green woman or a gnarly monster to jump out at me around each bend in the trail. Or maybe members of my dream crew themselves from Star Trek: The Next Generation would materialize in front of me. It was surreal, otherworldly, and I vowed that next time, I?d hike somewhere more lush. But I was here, and I had to finish the 230 mile trail to end up back at my car, in Yosemite National Park. Just a few more mountain passes to go. Each day, we?d hike 10-16 miles with elevation gains and losses numbering in the 3-4,000 range. Every night, we?d set up camp and add hot water to a freeze-dried meal, invented by scientists creating food for people in outer space. Summiting Mt. Whitney, the highest peak in the continental United States at 14,505?, was one of the highlights of the hike, and one of the most grueling hiking days of my life. 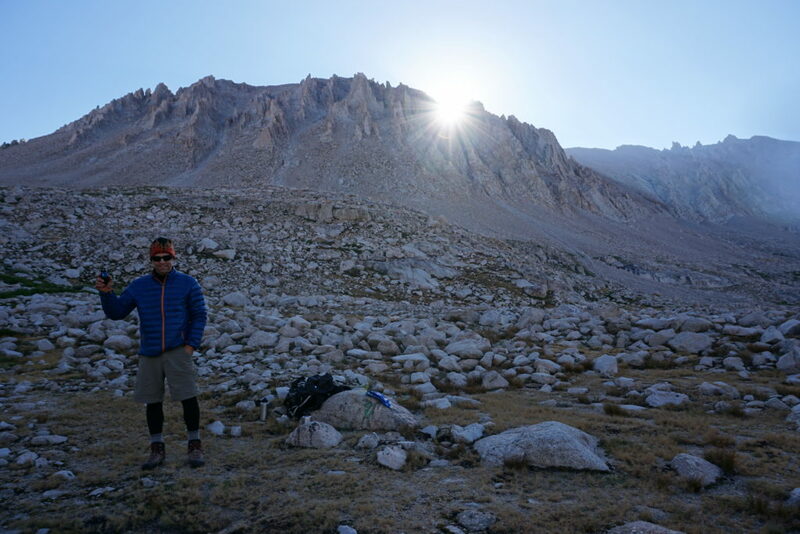 We started at 5:30am from base camp, ready to go higher than most people ever go by foot. 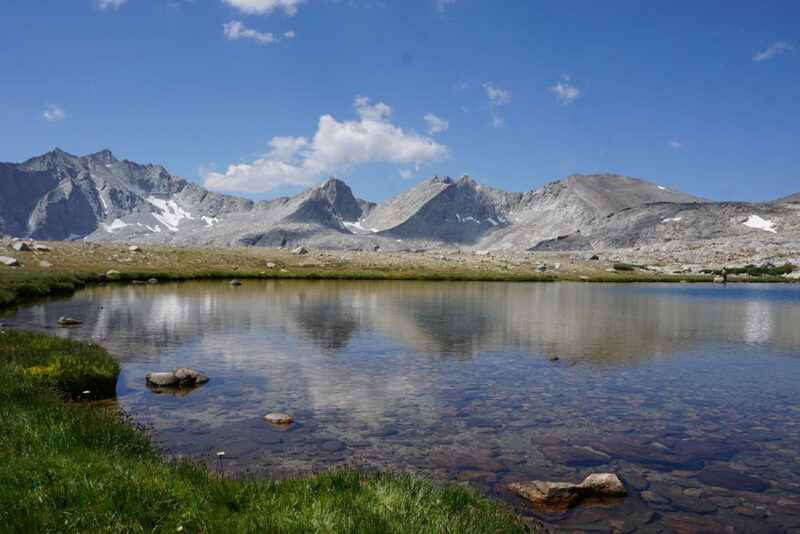 The hike to the top and back would be 16 miles and over 4,000 feet of elevation gain and loss. As we started up the rocky switchbacks through the bowl-shaped mountain range, we noticed something ominous. Clouds were beginning to bunch together in the distance, warning us of impending thunderstorms. We tried to quicken our pace to reach the top before the sky broke open. ?Are you okay?? One man asked me as he took a break along the trail. I must have been breathing hard, focused on putting one foot in front of the other. I would make it to the top, no matter what! ?I?m fine,? I said. ?The elevation is just tough on my body.? I kept going, drawing ragged breaths, feeling my heard pound inside my rib cage. My body wasn?t used to this elevation, and my blood cells struggled to find oxygen in the thin, mountain air. 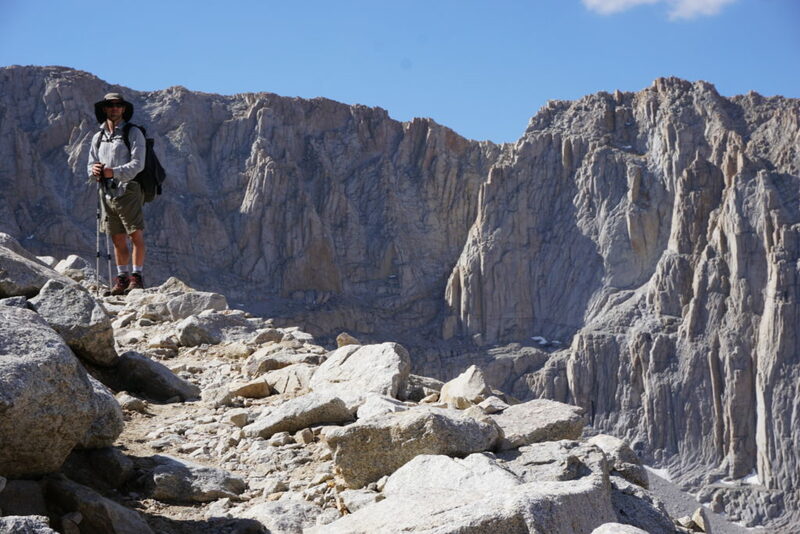 Near the summit, I passed a sign that warned of extreme lighting risk on the top of Whitney, and got my picture taken on the summit just seconds before we heard that first crack of thunder. My boyfriend and I looked at each other. ?We have to go down, now,? he said. We started trotting down the trail, determined to get back down to the safety of Guitar Lake before a full-fledged thunderstorm broke out. It started to rain, and we stopped briefly to put on our rain gear, the valley a dizzying thousands of feet below. 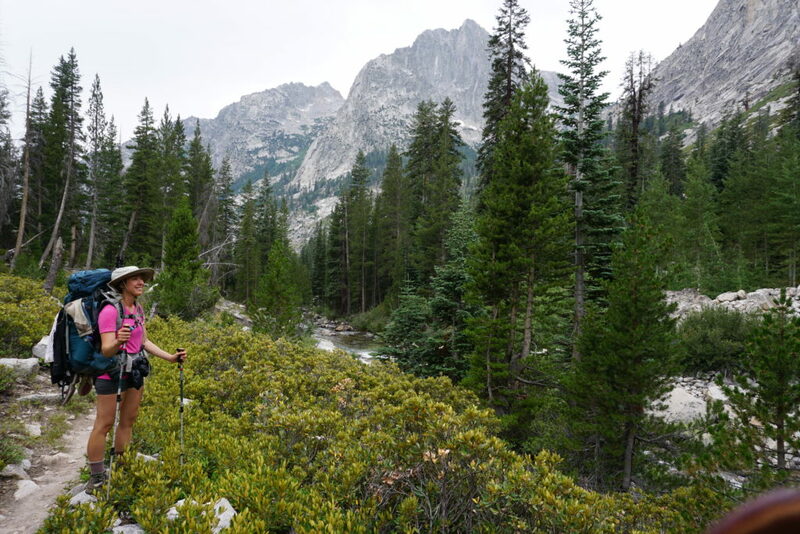 It was grueling, and thunder reverberated against the rocky crags around us. It was one of the loudest sounds I?ve ever heard, and one of the scariest. I focused on my breath and my footsteps so I wouldn?t trip and fall on the uneven surface. Sweat gathered beneath my raincoat, and I felt clammy and ill. When we?d finally run down 4,000 feet to Guitar Lake, I was feeling worse. Nauseated, light-headed, dizzy, classic symptoms of altitude sickness. I laid down in the short alpine grass and focused on the trickle of the creek while my boyfriend heated up hot ramen. It didn?t make me feel better. I took two bites, threw up, and started hiking out. I didn?t make it far before I threw up again, then again another mile down the trail. I wasn?t sure if I could make it back to camp, but I knew I must. Eventually, I got back to our tent and collapsed at 6pm. I slept a solid 12 hours, then woke up at 6am, ready to do another 2.5 weeks on the trail. 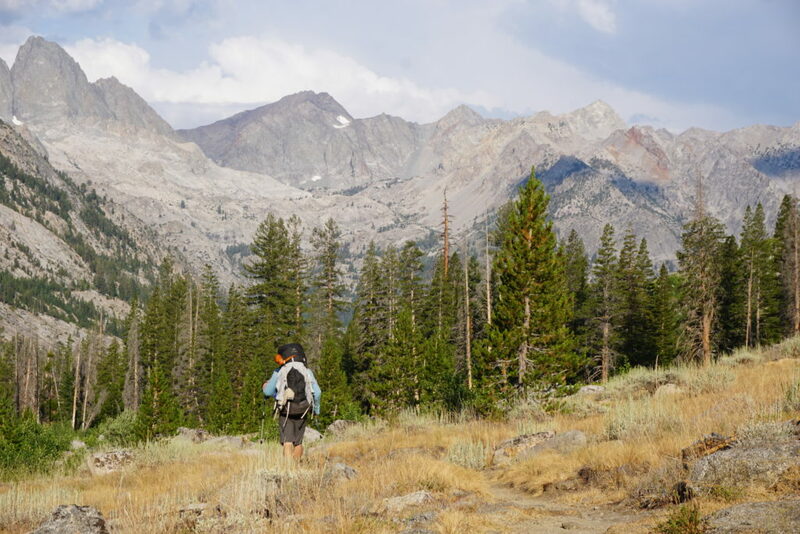 Hiking 230 miles of the Sierra Nevada took exactly 22 days. It was one of the most beautiful places I?ve ever been, and I?ll always have respect and sense of wonder for the mountains. It?s the same wonder humans will face as they explore the stars, as they stumble upon places nobody else has ever been to or seen. It?s this wonder that keeps us moving, even as our body screams and our mind wants to give up. We are explorers, always have been, always will, and I know one day, I?ll find another mountain range to climb. I?ll put myself in another place no human being was ever meant to be. I?ll push myself to the brink, find glory in achieving, and be humbled before the power of nature. Start training like an astronaut. Download the Space Nation Navigator now! Kristin Hanes is a journalist who lives on a sailboat in the San Francisco Bay. She loves adventure, the outdoors, outer space and is an avid Trekkie.